PAST LIVES By Karina Machado | Wendy J. Dunn, Award-Winning Author. The year, as Steve saw it during the regression, was 111 AD, yet the misery in his words is as palpable as if he were mourning last week’s loss. Whatever forces were at work when Steve took his journey in the Jason recliner, the topic of past lives has enthralled Westerners at least since 1952’s (since debunked) case of a Colorado woman who recalled meticulous details of living as a 19th century Irishwoman named Bridey Murphy. On the net, you’d need a whole separate life just to explore all the websites the subject has spawned. If you’re game, $14.95 is the price to download software that purports to unearth your past lives-one brief credit card transaction, and the rest is history. Would this work for me? I don’t have a pain in the neck to contend with, but what plagues me—an obsession with King Henry VIII and his six wives—certainly might feel like that to my Tudor-tired family and friends. One glimpse of historian David Starkey on the TV and the blood drains from my husband’s face and he flees, shrieking down the corridor, much like the ghost of Henry’s fifth wife, Catherine Howard, is said to do. 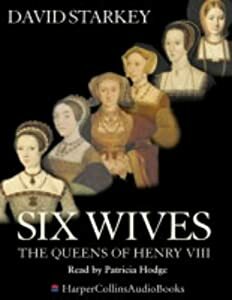 Starkey’s bricklike Six Wives: The Queens of Henry VIII commands my bedside table, and in the kitchen, my trusty Music From the Reign of Henry VIII cassette (yes, cassette) means a volté at breakfast time is never out of the question. Not even a 750-piece puzzle depicting all of Henry’s hounded ladies is beneath me. First stop was Sydney psychic Kate Barnes. The willowy strawberry-blonde who claims to have channelled Michael Hutchence for Australian Style magazine, describes herself as a medium, healer and clairvoyant—the latter, she explains, means “sight with your eyes.” She’ll view my former selves projected before her like a film. “I’m looking at a jungle environment,” she declares in her thick-as-the-bush Aussie drawl. “I’ve got a feeling I’m in South America.” It’s an ancient civilisation, probably Incan, and I’m unsettled by her vision that I’ve “had one child torn away” from me for child sacrifice. That heartbreak is likely to make me an over-vigilant mother today, Kate advises, and I’m eager for her to leave that life behind. “You’ve been a singer!” she suddenly announces, “I can hear this ooaaahh. It’s very operatic:oooahhh.” As she outlines my glamorous life in late 1800s France or England as a “statuesque” chanteuse with a generous cleavage, I’m reminded of my enthusiastic warbling at karaoke—minus, sadly, the gowns and “many male suitors” that I was formerly accustomed to. As our 90 minute session progresses, I learn that I’ve belly danced in the Middle East, been a courtier at the Palace of Versailles, a jolly 17th century pirate on the Caribbean seas whose ship was swamped by a massive wave (huge waves are my recurring nightmare) and a revolutionary French poet/journalist by the name of Charles Monseurrat. Kate senses that many of the people around me were guillotined in Charles’s lifetime, and I can’t help but remember the red birthmark at the back of the neck that myself, my mother, sister and daughter all share. Chillingly, Kate also met the spirit of my late Godfather. I tensed at her spot-on descriptions of his distinctive gestures, appearance, and her perception of how he died. But where—I had to inquire, when Kate wonders if there’s something she hasn’t “picked up on?”—was my Tudor life? For as much as I was enjoying her recounting of some of my 600 (!) costume changes—it’s like the MGM wardrobe department has flung open its doors to you for a personal frock-up—when my moment arrived, it was bittersweet. “I can see a removal of collar for a beheading,” says Kate, delicately miming the gesture. If I hadn’t been Anne Boleyn herself—Henry’s charismatic second wife, whom he’d sent to the block on trumped-up adultery charges—I’d been her lady-in-waiting, she states. These words should have made my blood run cold, but coming as a postscript, it was just like chancing upon a beloved, long-dead relative in a well-worn photo album. Answering that proved complicated, but warm-natured Sherry showed cool efficiency in keeping track of the interminable folders, information sheets and lists she had to consult in tracking my past lives. “Muscle testing is our tool to follow the path or to find the story,” she explains. Via what is essentially the method of elimination, Sherry established that I’d been a swordsman in the Spanish royal court in 1521 (right year, wrong country) and a 9-year-old Greek girl in 1013. I thanked Sherry, but more than ever; I was drawn to the bright light of hypnosis. That’s settled then: I will go under. Imagining my ancient self skipping down velvet English hills, I make an appointment with Sydney hypnotherapist Marlaine Nicholson-Smith. “Hypnosis is like the dream state but awake,” Scottish-born Marlaine informs me during our pre-session chat. “I have to quieten the conscious mind to access the subconscious. The memories are there within you but a lot of us don’t want to remember, or don’t know how to remember.” For the first few moments in the recliner’s plush embrace, as Marlaine’s hushed voice instructs me to feel “heavy as lead,” I’m remembering only that I’ve left my mobile phone switched on in the next room. The pesky thought eventually recedes during the guided meditation, where I’m to imagine myself walking down a golden path, inhaling a rainbow of multi-hued “mists.” Soon, I’m plunged into a swirling spiral and when I emerge at the other side, I’m supposedly inside a past life. Then, nothing. But pictures do emerge as, ever so slowly, I lose awareness of where I am, and start to completely inhabit the landscape in my mind. Still, when I listen back to a recording of the session, my answers remain mostly monosyllabic and the vivid detail reminiscent of the most intriguing past life recollections I’ve read about is absent. But that’s not so bad, is it? Bombarding my vague and pregnant sister with tales of my spiritual quest recently, she surprised me with a decisive: “You know what you were. You don’t need to ask anyone.” Perhaps, I thought, sinking into the couch with my latest guilty pleasure, Robin Maxwell’sThe Secret Diary of Anne Boleyn, you could have told me that earlier.